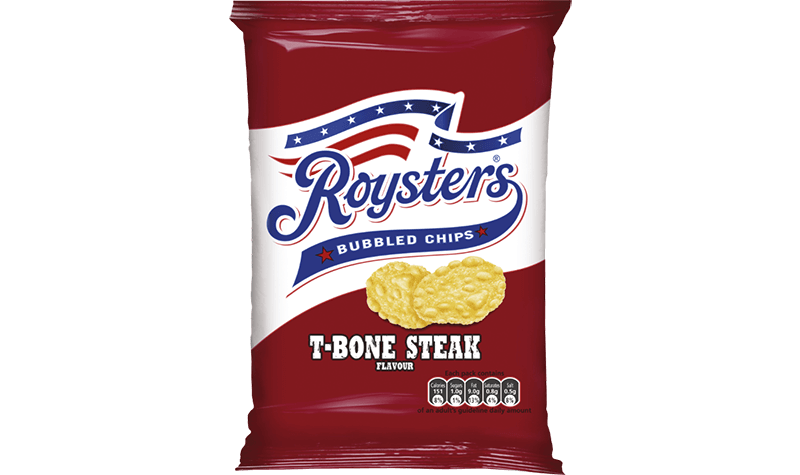 Roysters are the UK’s only, original, American-style bubble chips! Made with potato and rice flour, Roysters first arrived in the UK in 1992. They’re a crunchy and satisfying snack, available only in our classic T-Bone Steak flavour.